The St Gallen Group Confirmed ! The official website of the Swiss Bishops’ Conference, kath.ch, subsequently published today their own article about this matter, pointing out the fact that the Diocese of St. Gallen, whose bishop is the president of the Bishops’ Conference, has now made a public statement refuting the claims of the radio station. A private circle met on a regular basis from 1996 until 2006. It was now-deceased Cardinal Carlo Maria Martini and the then-bishop of St. Gallen, Ivo Fürer who initiated these meetings. Neither Cardinal Carlo Maria Martini nor Bishop Ivo Fürer were at the time members of the Council of the European Bishops’ Conferences (CCEE), but the members of the circle of friends had first met in part through the CCEE. Some of the bishops and cardinals who were friends desired a continued exchange among each other. Of course they also spoke about the situation in the Church at their yearly gatherings in St. Gallen. They also spoke – when the health of Pope John Paul II was continuously declining – about the question as to which qualities a new pope should have. 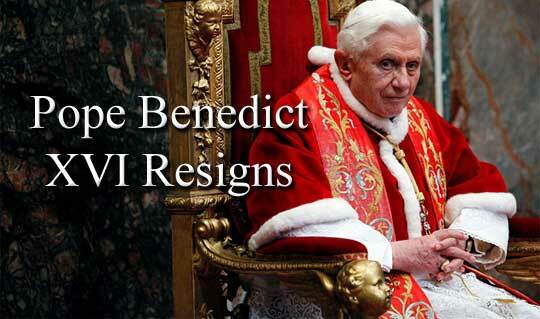 Did the Evil Puppet Masters of the World Financial Powers Shut Down Vatican Bank to Obtain Benedict’s Resignation? It wasn’t enough that the exonerated Ettore Gotti-Tadeschi was under suspicion of corruption. Indeed, if these details are confirmed, the ensuing scandal will cast a longer shadow on the Franciscan Papacy and the powers and principalities who now appear, with Cardinal Daneel’s admissions which we touched on last year, bent on making the papacy a vehicle to create public consensus for social engineering on a global scale. Man, if they could unmake a pope, they could certainly make one. The journalist, Maurizio Blondet, who has broken this story is himself a Traditionalist Catholic, according to Italian Wiki. “‘When a bank or territory is excluded from the system, as it did in the case of the Vatican in the days before the resignation of Benedict XVI in February 2013, all transactions are blocked. Without waiting for the election of Pope Bergoglio, the Swift system has been unlocked the announcement of the resignation of Benedict XVI. “This explains and justifies the unprecedented resignation of Ratzinger, that many of us have been able to exchange for an act of cowardice; the Church was treated as a state ‘terrorist’, but worse — because note that the dozen banks falling into the hands of the Islamic State of Iraq and Syria ‘are not excluded from SWIFT’ and continue to be able to make international transactions — and the Vatican finances could no longer pay the nunciature, to convey transport missions — in fact, the same ATM of Vatican City had been blocked. My Comment : So a so call “mafia Group” Financial conspiracies and so on, The question is whether all these plots have weighed on the unexpected Resignation of Pope Benedict, what we know for sure is that the Swift was restored in Vatican the day after his resignation, this is a fact as now the “St Gallen Group”, as I said in my previous article (Now we know), let us be ready to learn even more, it is also our right as members of the Body of Christ and of his Church. 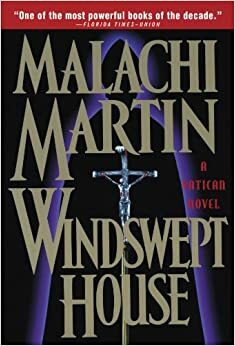 Apparently, Cardinal Godfried Danneels would be one of the characters in the Malachi Martin’s novel “Windswept House”.